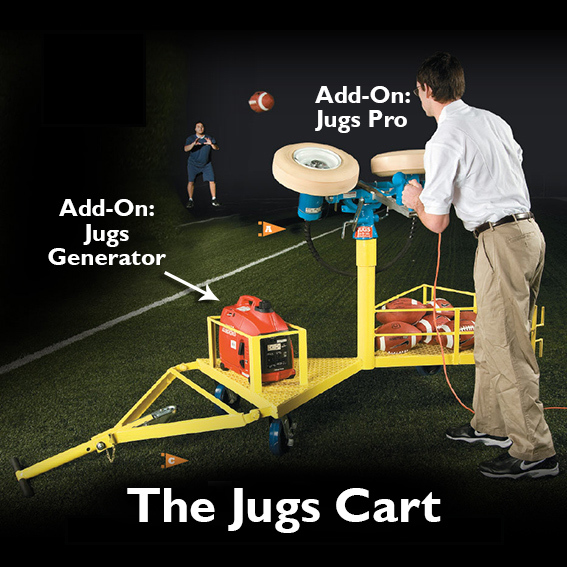 The JUGS® FIELD GENERAL is the economy model. Max throwing distance is 50 yards. 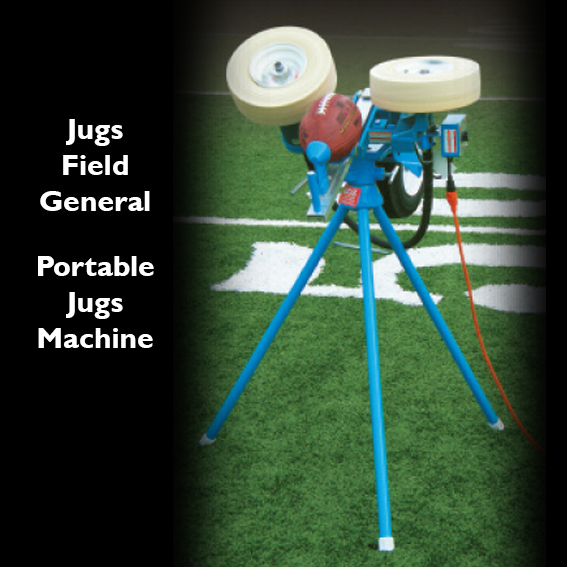 Delivers tight spiral punts and passes.